Notorious is a new film letting you take a close look into life and work of Christopher George Latore Wallace a.k.a. The Notorious B.I.G. From his early life in Brooklyn and all the way to the hip hop top, the movie features his ups and downs, his merits and mistakes, everything that made him one of the most influential hip hop artists of all time. 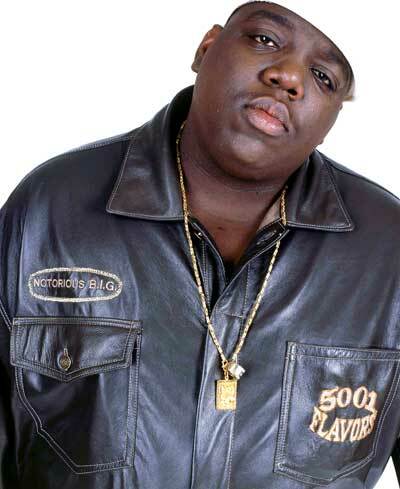 The Notoriois B.I.G was known for his great storytelling abilities, his dark semi-autobiographical lyrics and objective realism of his stories. You must like the movie if you still remember those wild times (I know I sound like an old woman now but anyway) or if you just want to know more about a very-very talented person, The Notorious B.I.G. The movie stars Angela Bassett as Biggie’s mother Voletta Wallace, Derek Luke as Sean (P Diddy) Combs, Anthony Mackie as Tupac Shakur and introducing Jamal Woolard as The Notorious B.I.G. Is Lady GaGa’s ‘Born This Way’ coverart a rip-off?